UA’s award-winning Art Bomb Brigade and Arts LIFT programs will begin work on the latest public art mural series in the city in collaboration with Downtown Akron Partnership. This newest art bomb of more than 4,000 square feet of stenciled art will adorn walls along Market, Maiden Lane and High streets. This project is possible through support from the John S. and James L. Knight Foundation. The artwork is the first step of a second spacelift project as part of a two-year grant to Downtown Akron Partnership. The project follows the successful Northside Green installation that was unveiled on June 2 in the Northside District. This spacelift -- to include artwork, lighting, street furniture and a parklet -- will be completed in early July. Twenty-three student participants working under the direction of Elisa Gargarella, director of Arts LIFT and Art Bomb Brigade along with the creative team of Marissa McClellan, Dan Coffield and Steve Ehret aim to create a whole “street art” block in the Historic Arts District in downtown Akron. 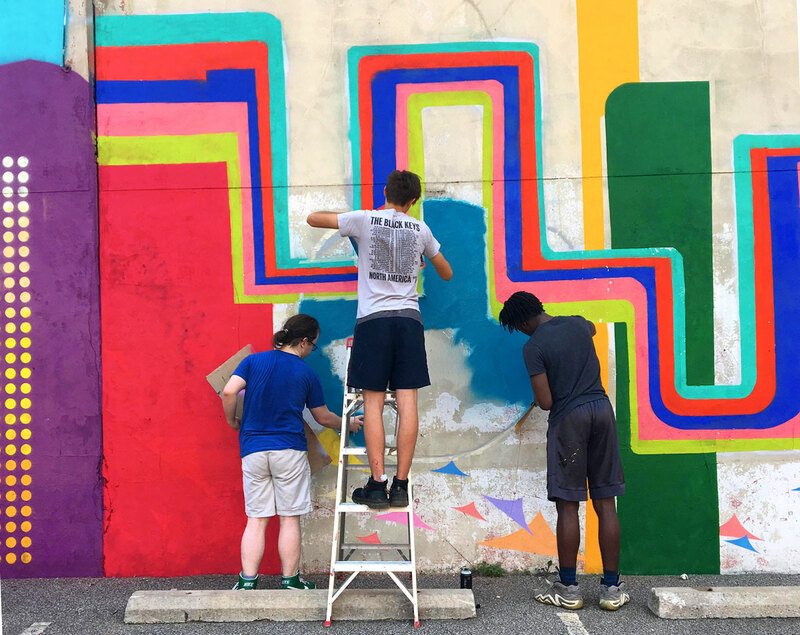 Over the course of two weeks, UA students and local teens from Akron Public Schools will work in the Maker’s Space at the Myers School of Art to create stencil designs to spray paint what will be the group’s largest installation to date. 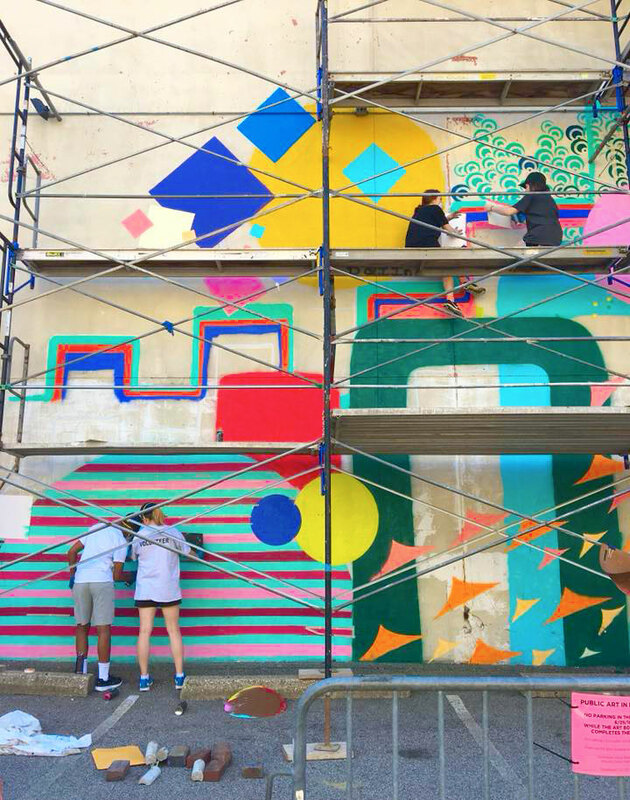 The Art Bomb Brigade and Arts LIFT crews are working on the mural through June 22 from 9 a.m. to 4 p.m. All Akronites, mural enthusiasts and visitors are encouraged to check out the project throughout the installation. UA and DAP will host an unveiling party at the site of the mural from 6 to 8 p.m., Thursday, July 19 during the monthly 3rd Thursday event. The celebration will feature live music, food trucks, community art projects and local vendors.